I am a painter, printmaker, and graphic artist. My paintings range from plein-aire oils to larger scale studio work. Subjects are the landscape, snowplows, and trains. I often incorporate relief text or images into these paintings. As a printmaker I work in relief prints: woodcuts, wood engravings, and linocuts. Images again derive from the landscape; birds, plants and insects round out my interests, a recent series of engravings are entitled “A Suite for St. Francis”. 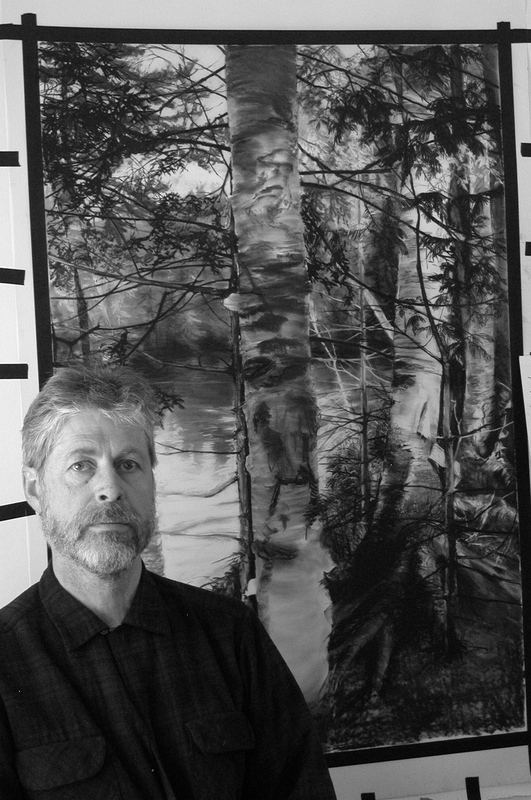 I also work in large scale charcoal drawings on mylar, most of these begin with photographic resources I shoot while hiking in the Adirondacks, Catskills, Colorado, and California. You are currently reading George Dirolf at oakroom artists.